Barry Training Services started from modest beginnings, delivering localised training. They have now developed into a national company with 2 training centres based in South Wales. They offer training throughout the UK as well as EU Member States. This is due to the high quality training delivered by BTS as well as being able to respond to training requests at relatively short notice. BTS offer a vast range of courses and are constantly adding new courses to meet the ever changing demands of the industry. Some of the latest courses to be added to their extensive portfolio are: IPAF MEWP’S (International Powered Access Federation). PASMA for Mobile Access Suppliers’ Manufacturers’ Association) and CITB Site Safety Plus courses. 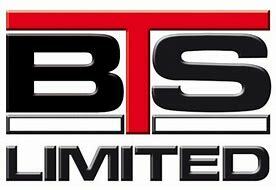 With over 26 years’ experience in offering the very latest in health and safety, BTS understands that you have to move with the times ensuring legal compliances are met, eliminating risks to effectively manage your Health and Safety Training needs. BTS have been delivering RTITB Lift Truck Training for over the past 26 years. In addition, they deliver the ECITB/CCNSG Safety Passport course and have done since the early 90’s for entry to petrochemical, power stations, oil refineries etc to over 100 delegates a week. To date, they have issued well in excess of 50,000 passports to successful delegates. Every year the HSE release new statistics of workplace injuries and deaths and we’re very pleased to see the figures released are continuing to decline – this is part due to people being trained to work safely.